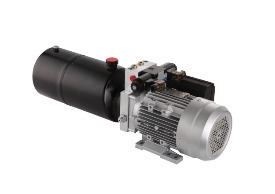 Our DC mini hydraulic power packs, also called DC power packs, are designed and made in China. 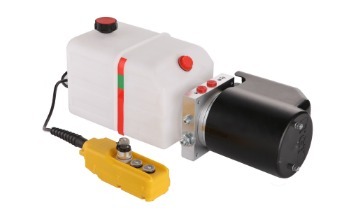 Our DC power packs come complete with DC motors, aluminum housing manifold blocks that hold valves, and a hydraulic gear pump. Our DC motors range from 350W to 4500W, flow ranges from 2LPM to 16LPM,and pressure up to 210bars. What is Target Hydraulics Power Pack Components ? 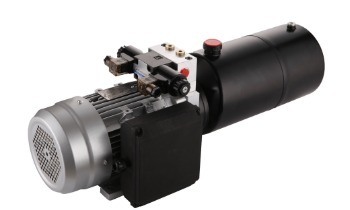 Our standard single acting DC hydraulic power pack comes complete with a relief valve, a check valve, a 2 way 2 position normally closed cartridge solenoid valve, a suction filter, a gear pump, a return oil pipe, and a DC motor with a high duty starter relay. 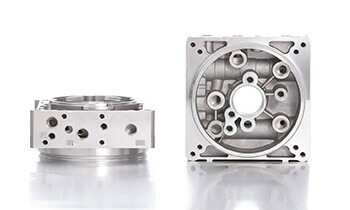 The motor is: 1.6kw 12VDC 2800RPM, and the gear pump displacement is 2.1cc/r. Our hydraulic plastic tank is 8 liters with an air breather, but no drain hole. We also offer an optional plastic motor cover. 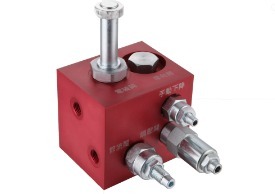 DC hydraulic power pack mountings are horizontal or vertical. 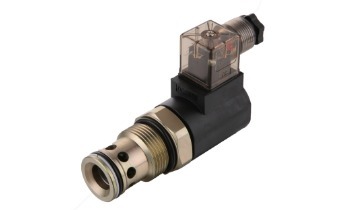 Normally we set hydraulic relief valves at 160 bars, but hydraulic relief valves are adjustable from 50 to 230 bars, as standard for each mini hydraulic power pack. 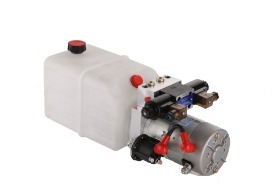 DC hydraulic power pack flow range is from 3L/min up to 15L/max. 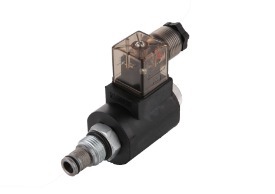 The standard size for the hydraulic valve manifold oil port’s thread size is 3/8″BSPP. Electric control system: two buttons remote with 4 meters cables. We also offer wireless remote control pendants. Part number:WRCP12. This wireless remote can control a DC hydraulic power pack 100 meters away. Here are the hydraulic power pack wiring diagram if you want learn more about how to wire DC Hydraulic Power Pack with Battery for your mobile hydraulics equipment. A single acting DC hydraulic power pack is suitable for all kinds of single acting hydraulic applications, such as trailer tipping, power up /gravity down lift, mobile hydraulics, tipper truck, and tailgate lift.